Carbs/Sugars — Essential? Healthy? Sounds crazy, no? You name any diet and it is probably all about low or no carbs and cutting out sugar. So, what’s this all about? Did you know, in our fruits and vegetables, there are many DIFFERENT types of carbohydrates? 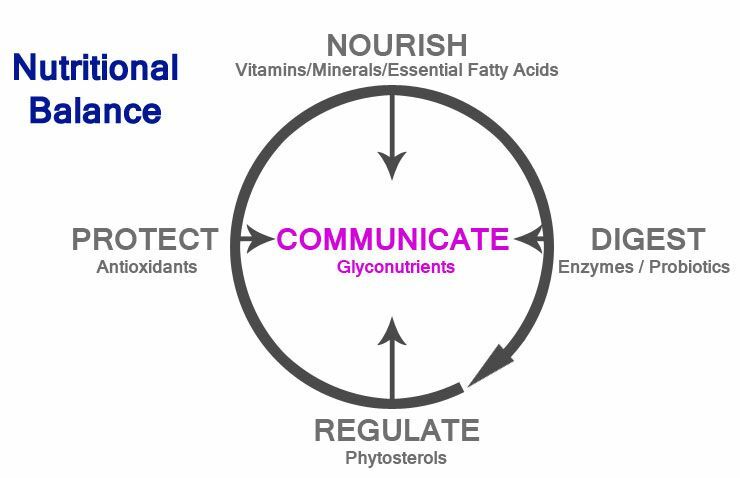 The science of glycobiology has identified 8 as essential to our well being. So if you go on a low – or no – carb diet you probably depleting sources of those vital carbs. Wow! Read on as I explain how we discovered the information on these carbs and how they are included in all our products as well as a stand-alone product – and why. ● In the 1980’s Carrington Labs assigned the team headed by Dr. Bill McAnalley, a research pharmacologist, to discover why gel from the live aloe vera plant could ‘heal burns’ but none of the processed aloe vera products could. ● Dr. McAnnally discovered the healing component in the aloe vera plant was a long chain monosaccharide (carbohydrate/sugar) called mannose. Attached to it is an enzyme which, shortly after the gel was extracted, it destroys the mannose chain. ● He discovered how to separate the enzyme from the mannose, and stabilize the mannose, and named the new product Manapol®. Carrington Lab received multiple patents for this process. Mannatech now owns this process. ● When his contract ended at Carrington Lab Dr. McAnalley was invited to joined our company. There he continued his research in carbohydrates. These cell surface carbohydrates help cells communicate with each other, telling who they are, what they do, and whether or not they are healthy. Yes, the alphabet for that communication is made up of simple sugars (NOT table sugar!). This code system is so basic to human life that it is the means by which a sperm recognizes an egg for the purpose of fertilization. Harper’s Biochemistry identified the eight essential carbohydrates necessary for the creation of cellular words, including mannose. That explained the many reports of people’s improved well being after consuming the Manapol®. Dr. McAnally also realized that proper cell-to-cell communication could have a crucial role in every aspect of the maintenance of optimal health. ● In 1997 Science & Medicine stated five of the eight carbohydrates were found in Mother’s milk. ● In 1998 Acta Anatomica published a special edition on Glycosciences. 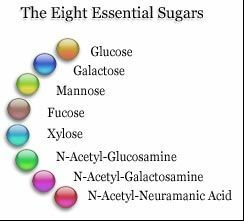 ● The March 23, 2001 issue of Science Magazine article titled “Saving Lives with Sugar”, complete with a drawing displaying the structures and names of eight sugars — the same ones that are already available in Ambrotose®. ● The July, 2002 issue of Scientific American a number of articles on Glycobiology. And in August of 2018 a department of the National Institute of Health is issuing $20 million to four academic centers to do research. The science of glycobiology is now taught in many universities throughout the world (like Oxford in England) and it is predicted that this new subject will be taught in high school within the next 10 years. Since then there have been numerous articles published on this science as well as double blind placebo controlled studies on Ambrotose® itself. (The link shares only a short list of what has been discovered to date.) There’s no telling where this story will end, but the most exciting part of the story is the impact that Ambrotose® is having on the health of so many people. 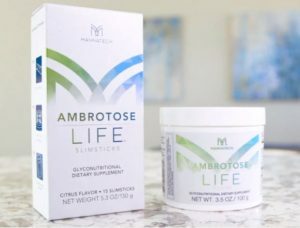 With the addition of Ambrotose® into ones diet it has been discovered that the body will now assimilate everything one is ingesting with greater efficiency. This is true of supplements, food, and even medication. Ambrotose® is a significant ingredient in our products: health, sports, weight management, and skin care, distinguishing our products against others on the market. *or you can wait until synthetic versions of these glycans are produced. 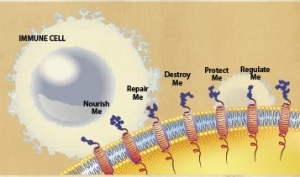 †† These studies were conducted on the core technology found in the Ambrotose LIFE formulation. Studies were funded by Mannatech.